A few years ago I was reading about the “new emerging security challenges”, and the author was pointing out: energy security challenges, cyber threats, and most of all – terrorism . Well, none of these types of threats are “new” anymore, are they? A day hardly passes without a new terrorist attack, and the amplification of the conventional and non-conventional risk spectrum becomes more and more obvious. We are witnessing the redesigning of the geopolitical map; also, we are facing an unprecedented diversification of crisis typology, ranging now from: financial and economic crises, to political, social, ideological, and even inter – ethnic ones. Given this context, terrorism is more present than ever before, has a more unpredictable nature, and of course, is much more difficult to manage. Therefore, in order to rise up to the actual security challenges, national and international organizations must improve their methods to prevent and respond against acts of terror. The 9/11 terrorist attack, the Boston Marathon bombing, or the San Bernardino shooting, are only a few examples of many tragic events which prompted the Department of Homeland Security to rethink its strategy against modern terrorism, which seems to have a new face: ideological and religious terrorism. 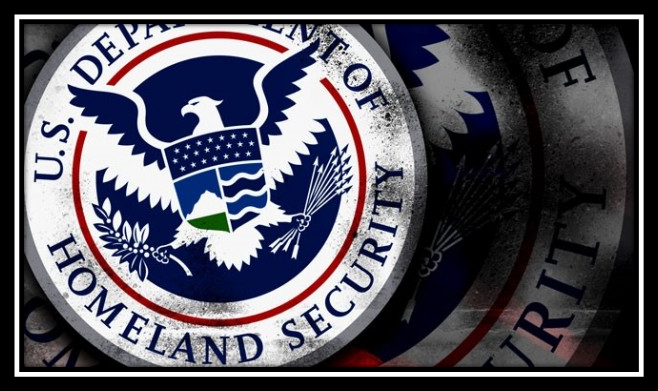 According to the Federal Register, one of the most recent domestic preventive measures implemented by the Department of Homeland Security (DHS) in this regard is the Modified Privacy Act System of Records (MPASR) which took effect on October 18th of this year . This regulation shares common grounds with The European Union Counter – Terrorism Strategy adopted in 2015, which talks about the “misuse of the Internet”  and about the need for new means to limit both the causes and the instruments of radicalization and recruitment throughout the Internet. The new DHS regulation expanded the institution’s powers to monitor the online activity of those who seek to obtain immigration benefits and of those who have already been admitted to live, work, or study in the United States (U.S). The measure does not affect only this category of persons since the agency is collecting information about naturalized U.S. citizens as well (although information about them are supposed to be collected only until the naturalization process ends). Surprisingly, the MPASR is targeting also the U.S citizens that get in contact with people that are subject to immigration procedures (like U.S lawyers, translators, doctors, or the applicant’s U.S friends and family members). Specifically, the MPASR expands the categories of records to be checked before and after awarding a U.S Visa. The records range from: the traditional personal identification information (like name, DOB, passport number, country of nationality, country of residence, work history, travel history, or their USCIS number); to the names of individuals’ social media accounts; aliases they are using or have used for anonymity in the virtual space; the web sites they visited in the past; and any other associated identifiable information. Supposedly, this type of information are to be provided voluntarily by the applicants when they are asked to fill applications and DHS forms. Additionally, the agency will be able to gather any information publicly available over the Internet. The act empowers DHS to check public records, and to collect personal data from federal, state or local institutions, from foreign government agencies, and even from international organizations. According to an article published on the 28th of September 2017 on Huffington Post, the agency was considering asking even the username and passwords to any online account associated with the types of persons mentioned above . The proposal for modification, which dates back to 2012, was under public debate until mid October 2017, and from the beginning the idea of having access to social media handles has raised serious concerns among immigrants’ rights groups, human rights activists, lawyers, and even journalists who express their fears that this measure will lead to delays in the immigration process, and will discourage scientists or specialists to come to the U.S. Moreover, there are concerns that the MPASR will give rise to unnecessary intrusion in private life, and will allow gross violation of freedom of speech. The new powers given to DHS may be seen as a violation of the Fourth Amendment and one could argue that screening someone’s social media activity constitutes a violation of privacy. However, the question arising is how much privacy can you expect when posting on Facebook or when “tweeting” on Twitter? In a case decided by the Superior District Court of New York, the court hold that “When a social media user disseminates his postings and information to the public, they are not protected by the Fourth Amendment. However, postings using more secure privacy settings reflect the user’s intent to preserve information as private and may be constitutionally protected”. United States v. Meregildo, 883 F. Supp. 2d 523 (S.D.N.Y. 2012). Still, the rule is not of strict interpretation. According to the court’s holding, the plaintiff here allowed only “friends” on Facebook to view the pictures and videos he was posting (regarding prior acts of violence that he committed or threats about intended future cruelties targeted against his enemies). But since he made all these available to a number of people who then allowed DHS to access them through their account, the agency didn’t violate his privacy and was allowed to use the information as evidence against him. So, it seems that the privacy expectation is pretty low when it comes to social media, and it should be even lower when posting for a group of people or for the general public. The other issue regarding the amendment relates to freedom of speech. It was argued that no one will ever feel free to express his or her beliefs online since you never know how or when the agency could hold against you what you’ve been posting or sending to your relatives, friends or to any other person you are connected with. But, while some people can use the Internet for positive goals only, others can easily use it in the scope of radicalization mostly because online communication knows no geographical or time barriers. Moreover, as we all know, not all kind of speech is protected under the First Amendment and thus, public institutions should be allowed to use mechanisms to monitor those who promote or instigate others to act against public safety, and national security. The new measure was criticized under the aspect of efficiency, and according to an evaluation report released in February 2017 by the DHS Office of Inspector General , the agency has not established yet proper standards to measure performance so that it can reach the proposed objectives. It is well understood that while there were terrorists who have been very active in social media before the attacks, there were others who were not active at all, but instead they’ve been radicalized by friends, family, or by members of the religious groups they’ve seen. Thus, it is unclear how efficient this measure will be in preventing terrorism. However, although many facts can be brought against a measure like this, one thing is certain: while every country faces more and more complex security threats, more human lives are lost. Thus, in order to fight against the omnipresent threat of terrorism, it seems like all of us will have to sacrifice a little of our fundamental rights, like the right to privacy or the right to freedom of expression. Only time will show us how effective the social media screening in combating terrorism will be. And even though the “national security” interest can justify these types of preventative measures, the states must never cross the fine line between national interest and individual rights. In order to achieve this, the U.S and all other countries must join their efforts to develop common approaches to spot and correct the misuse of the internet. They must share their experience, promote transparency in developing and implementing rules like the MPASR, and more than anything, they must promote inter – cultural dialogue. Otherwise, we risk losing not only the trust that everyone in a democratic country should hold in the public authorities, but also the feeling of safety, which can only generate even more violent reactions. The views expressed on this site are those of the writers and members of The Jeffersonian and do not reflect those of Thomas Jefferson School of Law or its employees. The content here belongs to the The Jeffersonian and its many contributors. Views and opinions expressed by all contributors belong to them and not The Jeffersonian or its Editor-In-Chief. All data and information provided on this site is for informational, educational, and entertainment purposes only. The Jeffersonian makes no representations as to accuracy, completeness, currentness, suitability, or validity of any information on this site and will not be liable for any errors, omissions, or delays in this information or any losses, injuries, or damages arising from its display or use. All information is provided on an as-is basis.